"Oh, hi! As the Fox censor, it's my job to protect you from reality." 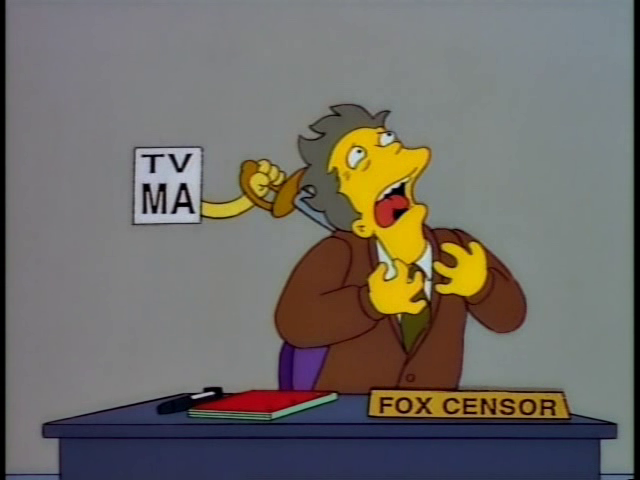 The Fox censor was the censor for the FOX network. 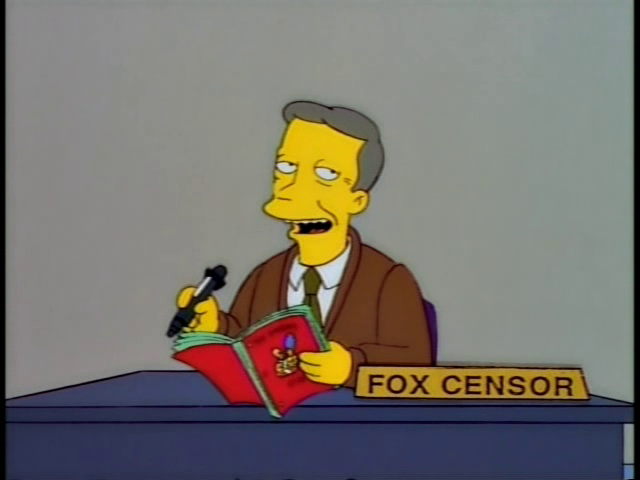 The Fox Censor was first seen hard at work on a script for The Simpsons, episode 5F02. As he came to each line that he decided to remove, he said "No" and crossed the offending line out with a large black marker. He found one line to be very funny, but crossed it out anyway, saying, "I think we can do without the crack pipe." At that point, the Fox censor looked into the screen, introduced himself to the audience, and said it was his job to protect them from reality. 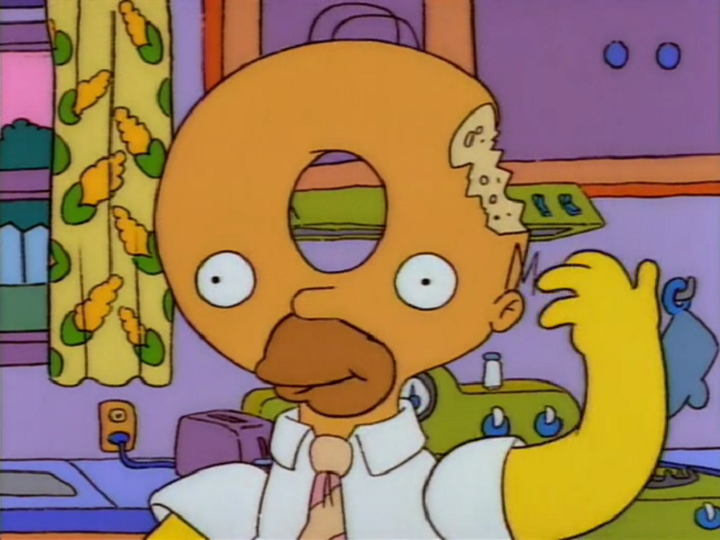 He said proudly, "Thanks to my prudent editing, tonight's Simpsons Halloween special has been rated TV-G", and the TV-G rating logo appeared on the screen next to him. The Fox Censor then spoke at some length about the episode's rating, but as he did, a hand holding a knife appeared out of the rating logo and stabbed him, and the logo changed from TV-G to TV-PG. The stabbing continued, with the rating becoming more severe with each blow: TV 14, TV MA, TV 21 and TV 666. When the rating reached TV 666, the Fox Censor was dead and the front of his desk was covered with blood. 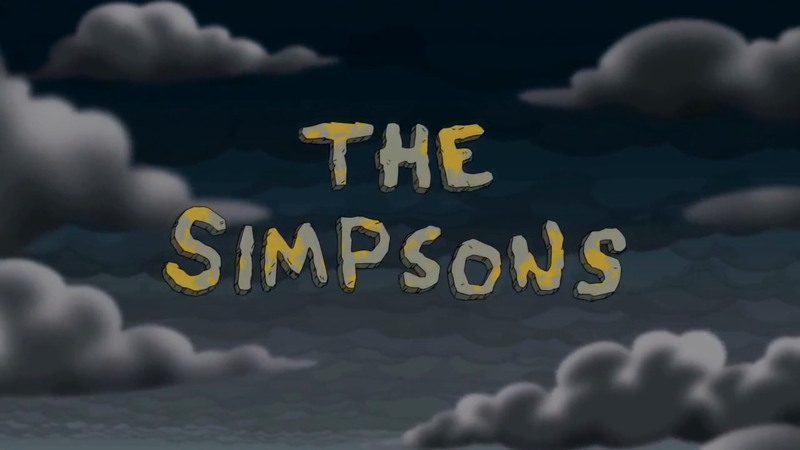 5F02 is the production code for "Treehouse of Horror VIII". The episode's actual rating was TV PG-V.
After the censor got stabbed the episode's final rating was "TV 666", the number of the beast. Alongside, 'TV-21', it is a rating that is invented for the episodes. Modified on September 8, 2015, at 03:10.